How can I create a webpage which best fits mobile device? – Coubic Inc.
How can I create a webpage which best fits mobile device? 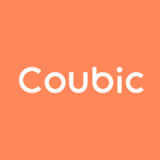 Sites on Coubic are designed in responsive UI, which means you don't have manage pages for smartphones/tablets separately and the page you create will automatically adapt to any devices.